All of my custom content that I release will be in this thread. My custom levels have their own threads & can also be found on the Community Uploads section of the site. Some of my rigs & all of my CAS items can't be found on the Community Uploads (since they were released before this site started hosting them) so this thread keeps them together. Will be bumped whenever I add or update something. The Inkling Boy from Nintendo's Splatoon series. - Changed a few special tricks in the save file to include the new ones introduced in the new update (ver. 0.6.0.0). 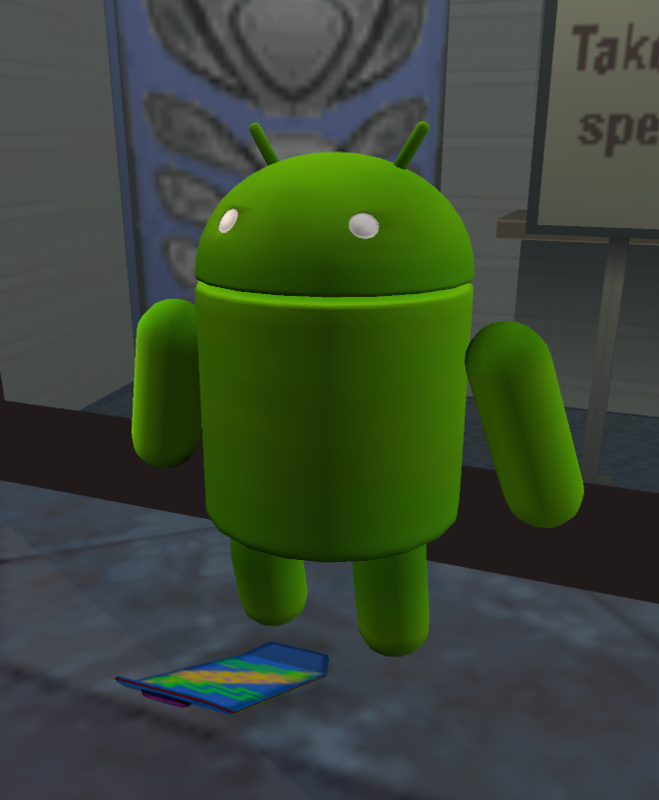 - Changed the body model, now is a higher poly & res/better looking one from Gmod. - Changed the shirt model, should now be the actual default shirt. 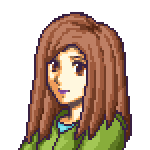 - Tweaked the envmap on the hair a bit & added it to the eyebrows too. - Changed a few things in the save file. - Added physics/jiggle bones to the hair. - Added an env map over the hair for the shinyness/slimyness effect. - Thumbs should finally be fixed. - Misc weight fixes, should look a bit better overall. - Changed the eye color to the default blue color. - Removed the straps since he doesn't have a weapon. - Tried to fix up the hands a bit. - The .SKA file is now also included in the .zip file. I tried rigging an actual Sonic model but it didn't turn out that great so here's Sanic instead. 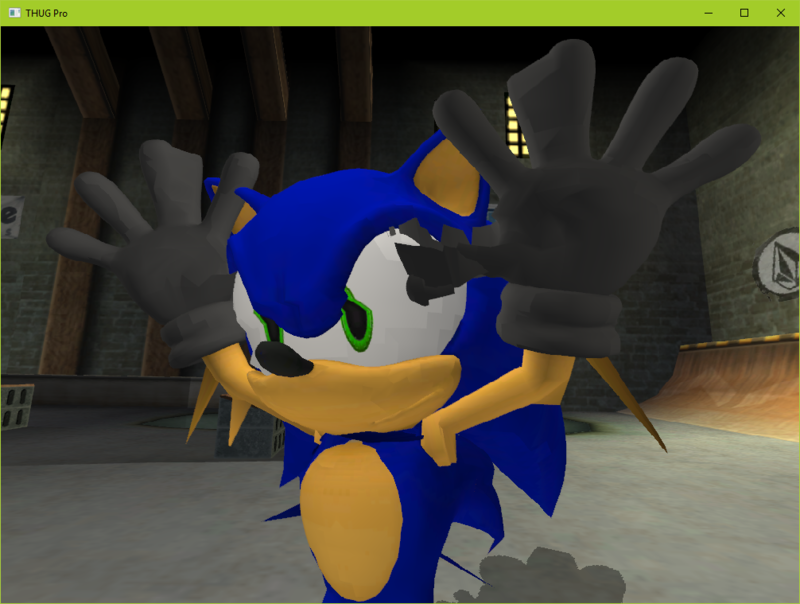 - You should now be able to see Sanic from both sides. - Fixed weights around the waist area, shouldn't look too weird there anymore. - The eye & shoe textures are now more higher-res. - Very minor weight tweaks. 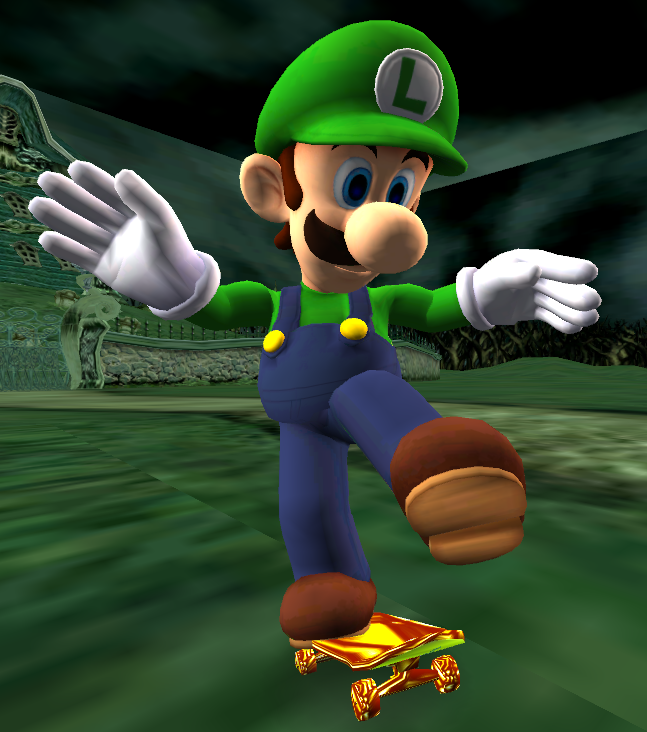 - Fixed the draw order issue that caused Luigi's eyes to sometimes become completely invisible. - Adjusted the scale & changed a few things in the included save file. - Download link no longer hosted on MEGA. - Added an envmap over the model for a more shiny/metallic effect. - Crow's mouth now randomly opens and closes while skating. - Fixed an issue where Crow's arms would completely detach from his body on certain animations. 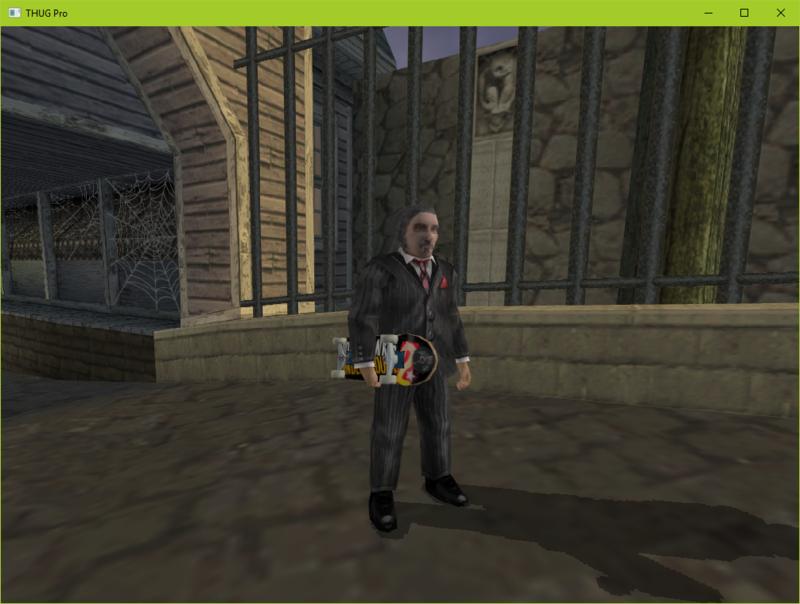 This is a playable version of the news guy seen in THUG2 cutscenes. 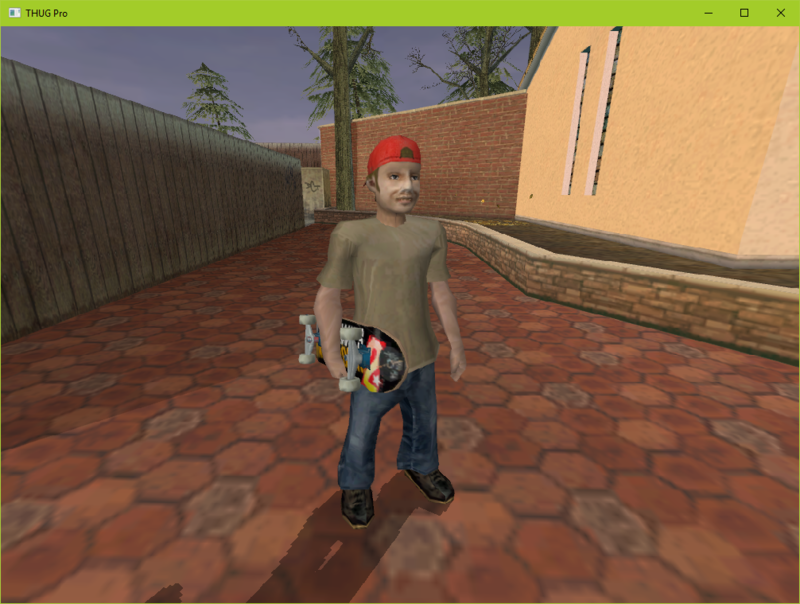 The original model in THUG2's files only had the head and the torso and the head wasn't rigged as a skater head. I added ped legs, edited the torso to fit the ped legs and correctly rigged the head. These are unused ped pieces from the Suburbia level that I put together into one model with Blender a while back. 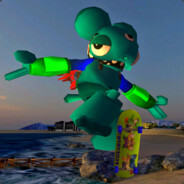 These peds were converted for the THPS3 update but I guess that they were never used. You'll need to replace another model with these yourself if you want to use them. Mainly did this one as a test to see how models w/ weird bodies work. Surprisingly came out not TOO bad. He's here to make THUGPRO great again. - Misc weight fixes, especially with the arms, using the included save file is strongly recommended now for scaling & arm fixes. - Heavily improved the shading & colors. Loving the Yoshi and Marty characters. 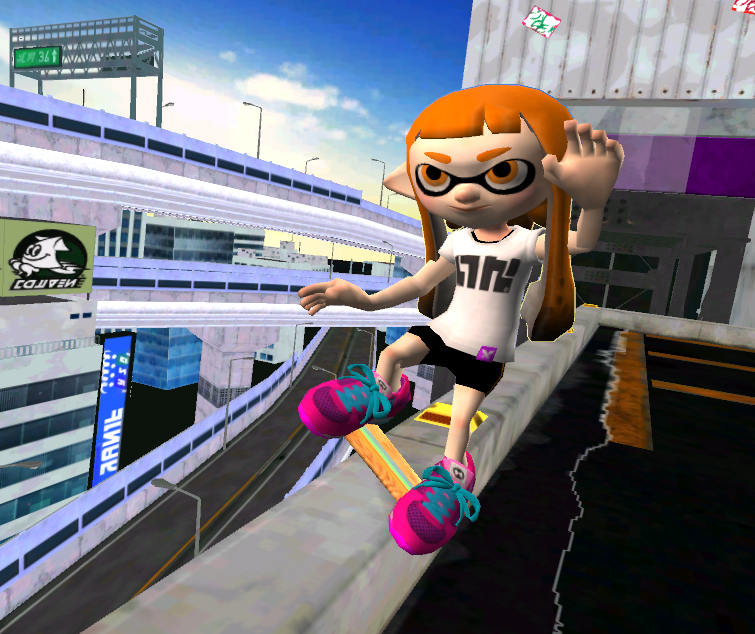 Since you did the Inkling Boy, are you going to do the Inkling Girl as well? Also, thanks for the heads up about the decryption key. It's fixed now. Since you did the Inkling Boy, are you going to do the Inkling Girl as well? It's possible but it might require more work because of the hair. Added the moon from Majora's Mask as a CAS head and Tails. Nice job on the Inkling, but I can't seem to load your Inkling Boy ska file at all. The game refuses to load it and gives me an error message instead. That's kinda weird. I made the save with a clean file in THUGPRO. 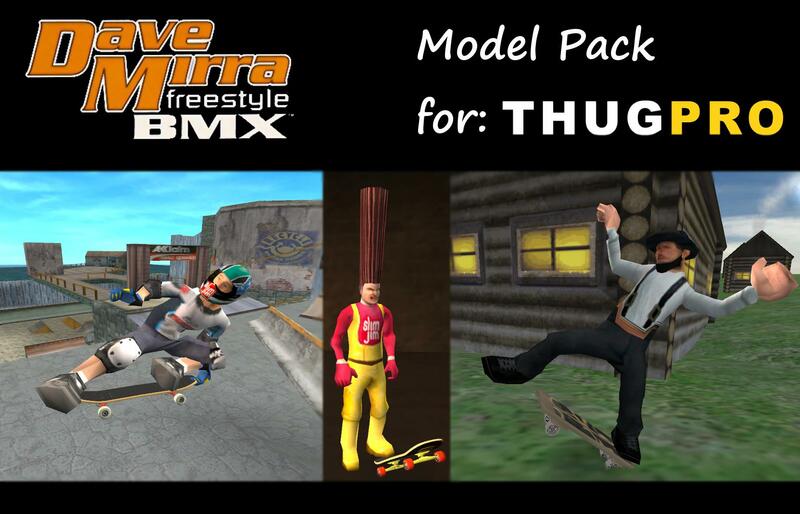 Are you loading it in THUG2 or THUGPRO? I think the save file will only work in THUGPRO. It says there was an error or that it was damaged iirc. I'm loading it with THUGPro. Where do you put CAS files at? 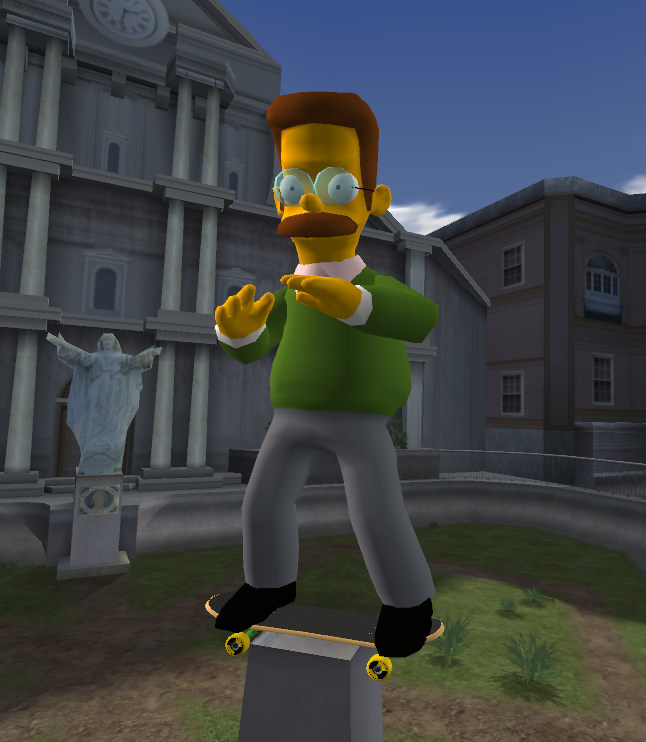 I put mine in Models > Skater_Male but when I load up THUGPRO it doesn't replace them. I remember when the manual trick "The Worm" was new, i got my old tricks back with a mod but i had to make sure the updater wasn't replacing it, im curious if the same method could work with maketacosn0twar (nice nick, lol), of course, i'm most likely wrong in this one since i don't even know the way this works and stuff but just thought i'd share it. Also, please, try not to overspread the thing all over the forum. We all (active members and maybe even guests) saw it, tacosn0twar. but i had to make sure the updater wasn't replacing it, im curious if the same method could work with maketacosn0twar (nice nick, lol), of course, i'm most likely wrong in this one since i don't even know the way this works and stuff but just thought i'd share it. 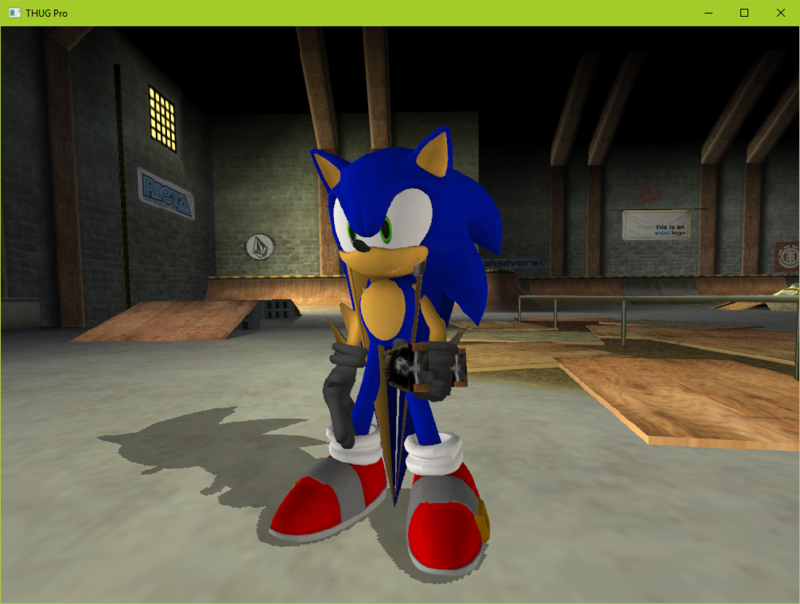 The updater doesn't touch custom skater models unless it replaces a model in THUGPRO's model folder. can you add mario, luigi, wario and waluigi as well as donkey kong? It's not that easy to do characters. I tried doing Luigi and even he has issues that I need to fix. Waluigi's already done by Splinks. Added the THPS4 Horror House Head (from the Carnival level) & updated the Inkling Boy.